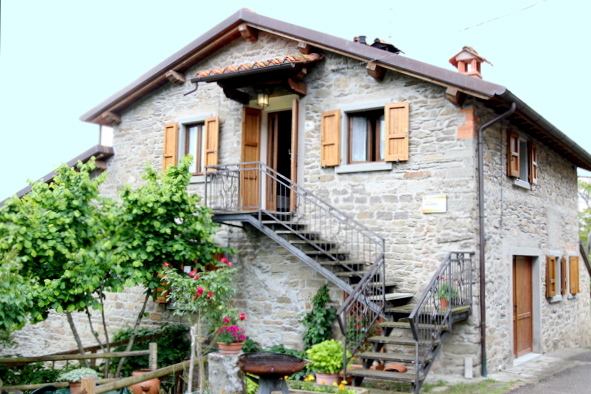 In the National Park of Casentino Forests in between Pratovecchio and Camaldoli, the Pallino Farm House is situated in the quite of Nature where the time is stoped. The cities of Florence and Arezzo are about 45 km away and the hills of Chianti are only an hour and a half by road. Many hiking trails are around and also possibility to have soft trekking around the farm. The farm produces daily sheep cheeses (type Abbucciato, “ricotta”, “raviggiolo”) and also produce salami and ham Prosciutto del Casentino following the ancient procedure. 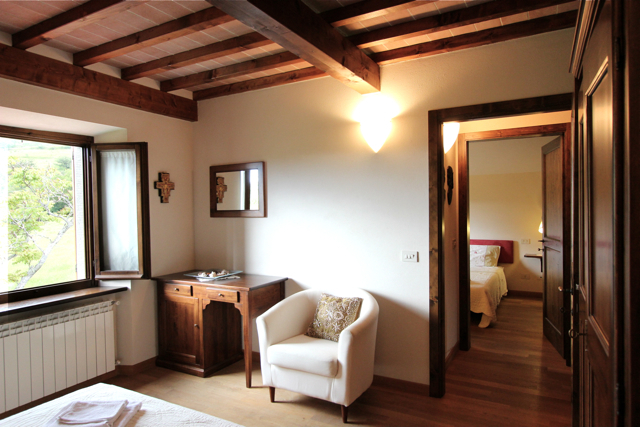 A cozy apartment is create inside the historical farm to recive who desider know this corner of quite and delights. 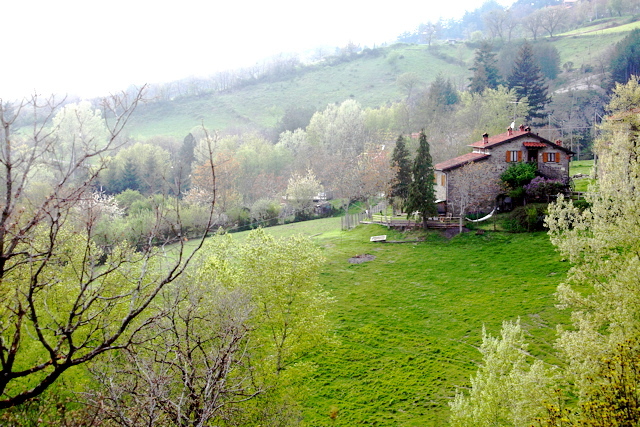 A simple and unforgettable stay in Tuscany for a direct contact with nature, people and authenticity. From the apartment you have easy access to the CAI with trails for hiking and biking. 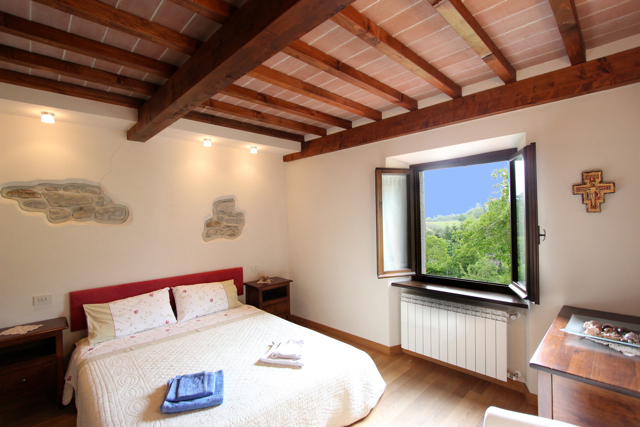 The Casa Pallino farm hosts in an independent apartment families, single travelers or couples. 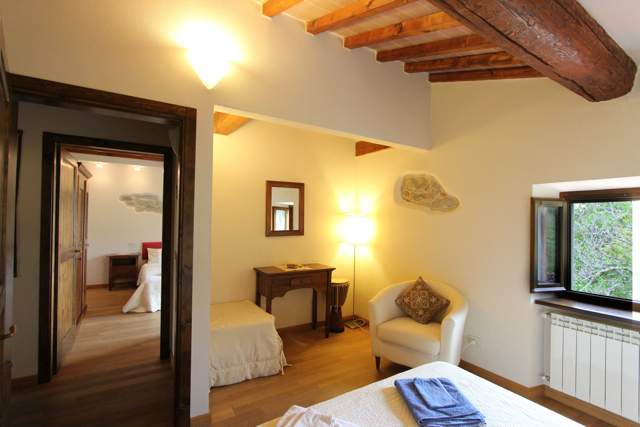 The apartment has been recently restored and consists of: living room with fireplace sofa, kitchenette, bathroom and two double bedrooms. Front has a small garden full availability of guests. Guarantees a relaxing atmosphere. 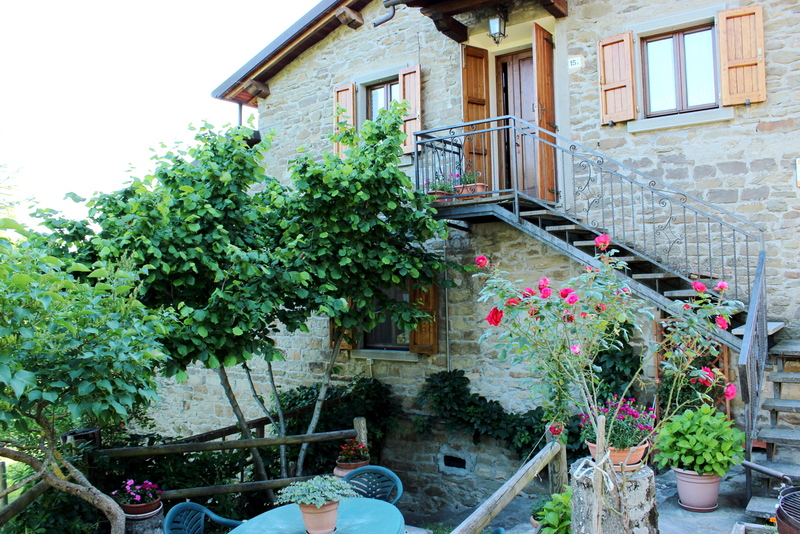 Lets make a holiday experience in Tuscany in a active and family farm! (*) Prices are approximate, please contact us to get the definitive price. Discounted rates in relation to duration of the stay.